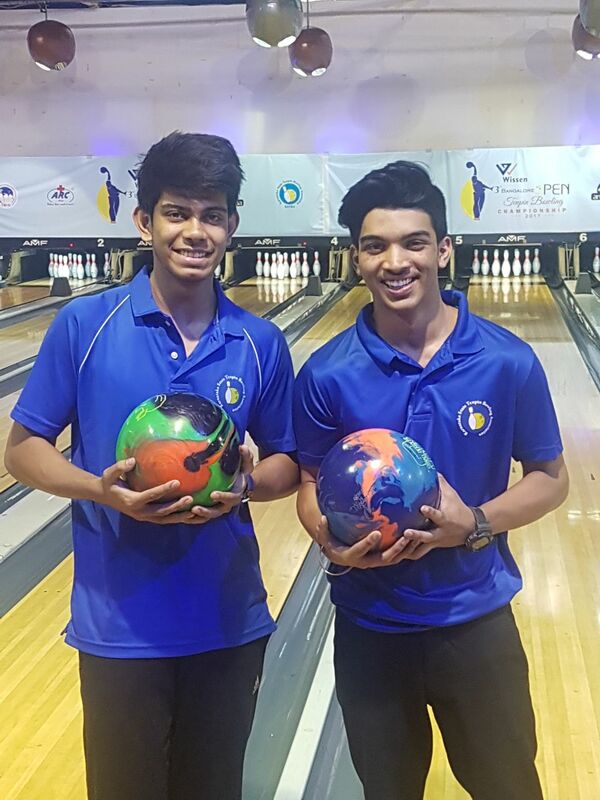 Shoumick Datta and Kishan R, both 17-year-old, of Karnataka made the cut in the Open Division of the Wissen 3rd Bangalore Open Tenpin Bowling Championships - 2017. On the final day of Qualifying rounds, Shoumick Datta scored an impressive 692 (207, 237 and 248) and 651 in 2 blocks of 3 games to finish with total pinfall of 1343 and comfortably making it to the Masters Round. And Kishan R had qualified earlier with total pinfall of 1306. Shabbirr Dhankot (1438) of TamilNadu and Defending Champion Dhruv Sarda (1417) of Delhi are still on top. 7 Men from Karnataka are likely to make it to the Masters Round. First Round of Masters of Open category will be held tomorrow evening. In Men's Graded A category, 7 Men Bowlers led by 17-year-old Misam Rizvi at the Top are in the race to qualify for the Masters Round. In the Men' s Graded Division Finals, Susil Adam of Tamil Nadu (1537) was the winner, Praveen Kumar of Karnataka (1522) finished Runner Up and Ziauddin of TamilNadu (1433) finished 3rd.